This month has seen significant progress in construction of our 5 new buildings that make up the new student accommodation development at Dunaskin Street, Glasgow. 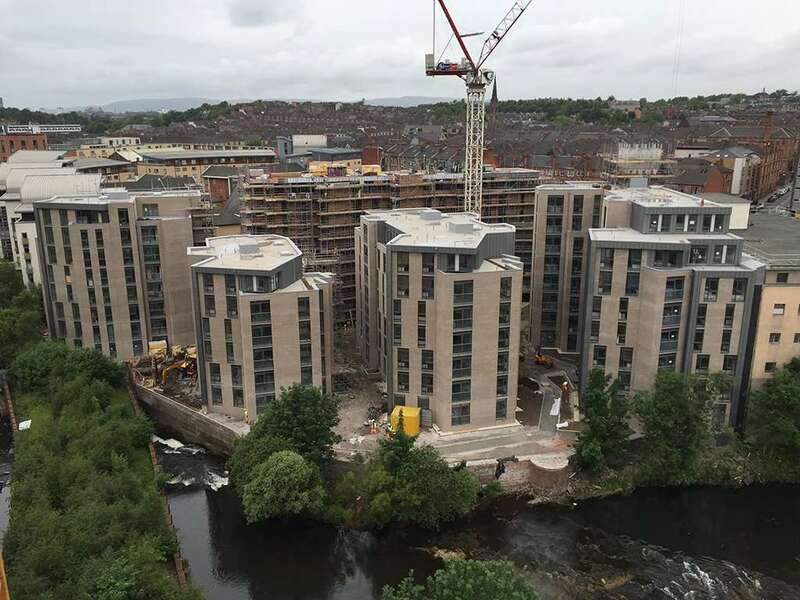 The scheme, which we are delivering with the Watkin Jones Group, forms 504 student flats on the site of the former Scotstoun Flour Mill, overlooking the River Kelvin and on the periphery of the main university campus. Due to be handed over this summer, the 5 separate blocks are nearing completion of the external envelope as well as having internal works well underway.